Our Valentine's Day was pretty laid back this year and I did not complain one bit. To be honest, Seth and I didn't even have any plans until Saturday afternoon. I had originally planned on us taking our February date for Valentine's Day and I had booked something special but then we started the Whole30 so we postponed it until next weekend. Since we postponed, I planned on us celebrating Valentine's Day a week late (which was no big deal since we don't really like to go out when it's so crowded anyway) but when Nanny offered to babysit, we thought we better take advantage. We started off the morning with a festive breakfast. Seth and I had an egg scramble with heart shaped strawberries on the side and Mason had pancakes with sprinkles, heart shaped strawberries, and some strawberry yogurt. 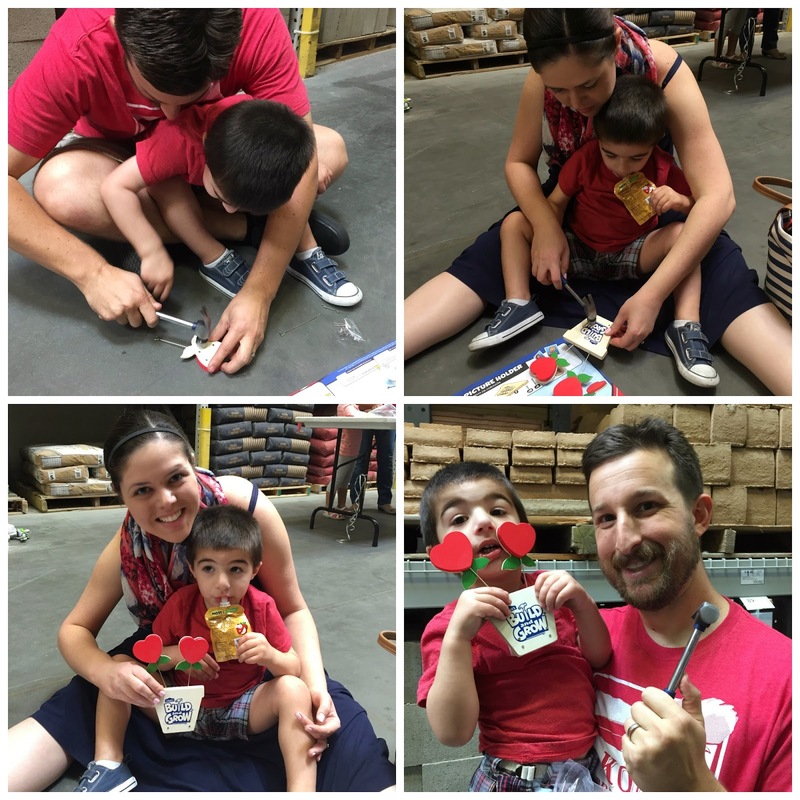 After breakfast, we headed to our first Lowe's Build and Grow. I was so excited about taking Mason to his first workshop but was also a little scared about how well he would do since they are technically meant for 5 year olds and up. We arrived slightly before 9am and waited and waited and waited and I wondered if they cancelled it because I didn't see anyone else. So I asked a worker and it didn't start until 10am. Mommy fail. I remembered the Home Depot one (that we had signed up for the week before but had to cancel since Mason got sick) started at 9am and I forgot to check the time for the Lowe's one. So we left and came back. And when we came back... it was super crowded! Now I know why they book up within like 5 minutes of registration opening. Once you go once, you want to go back! We waited in line, handed in our waiver form, and were given a kit and a hammer. We found a place to sit on the floor (like so many other people were doing - there were tables to use if we wanted to) and opened the kit. Mason did ok. He was kinda interested but I think he was getting kinda tired and hungry (hence the apple sauce) and so he wasn't too interested in sitting still. Overall, we LOVED the concept and will definitely be going to another. We got a cute little picture frame souvenir and I've already signed up for the Monster Truck one that they are having in a couple weeks! After Lowe's, we went to a new nearby park that I had been wanting to check out. It was closed the last time we went but had been re-furbished and was re-opened. This park was HUGE and amazing! Mason had a great time running around and even went down the giant slide all by himself. It was getting pretty hot so we decided to go home, have lunch, and have Mason take a nap. A few hours later, Mason woke up and Nanny came over and then Seth and I went out for Valentine's Day. 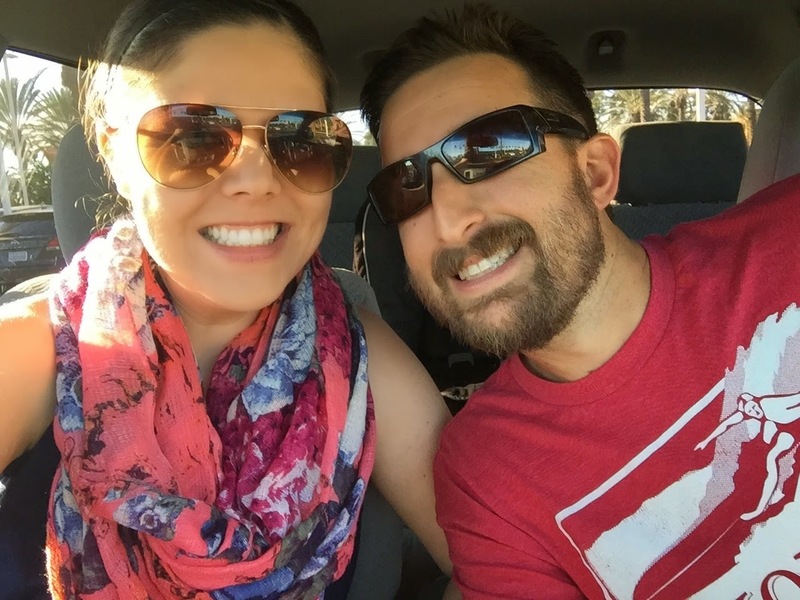 We had both been wanting to see American Sniper and although it didn't seem like your typical Valentine's Day movie, we found a 4:25pm showing and headed to the theater to see it. I thought it would be empty because it was early and everyone would want to see 50 Shades of Gray but the movie theater was packed and I was glad we went early. And for the record, the movie was AMAZING and intense. After the movie, we went to In n Out for dinner. It was one of the restaurants that we found that had a Whole30 compliant option and since we haven't eaten out in over 3 weeks, we were craving a meal prepared by someone else. It was ridiculously crowded (apparently everyone else had the same idea as us) but we didn't mind. A double double protein style, mustard grilled, whole grilled onions, no cheese, and no spread and it was pretty dang delicious. I seriously might order it that way from now on. After dinner we headed to the grocery store to pick up some stuff for breakfast on Sunday and then to Starbucks to get Nanny a little treat for watching Mason for us. Although it was simple, laid back, and last minute, I had a great Valentine's Day with my valentine! What's even better about Valentine's Day this year was that Mason and I were invited to participate in a little Valentine exchange with some other bloggers. We all sent each of the kids a little valentine in the mail and let me tell you, I think I was more excited to get happy mail (rather than bills!) than Mason was. I wish I had saved them all for Mason to open when they all had arrived but it was way more fun opening them as they arrived, one by one. And let's be honest, I am not very patient. Mason totally scored and got lots of goodies from his friends! We sent our friends a Starburst puzzle that I saw advertised in Parents Magazine. Seriously one of the easiest and cutest valentine's I've seen. I downloaded the template from parents.com, printed them on sticky paper, cut them out, and stuck them on Starbursts. Easy peasy, super cute, and fun! We hope all of our friends liked their Valentine's! We sure loved ours! Thank you everyone! Hope you all had a GREAT Valentine's Day! Sounds like a great Valentine's Day! I had to work on Saturday, so unfortunately, our weekend was not so fun. Wow, you had a pretty unbeatable weekend. Sounds absolutely perfect. I LOVE mason's Valetines too! YAY for having a volunteer babysitter! That's the BEST! I can't wait for my parents/Eric's parents to come visit us so that we can sneak away for a date one day, ha ha! Anyway, what a perfect Valentines Day with your family! Also, DYING over Mason's cute Valentine. Where do you find these adorable foam crafts to put together?! I just realized I never sent you a picture, but Mia instantly hugged hers, gave it a kiss, made ME hug it, then stuck it down her shirt and ran off to play (not sure what the shirt thing was about, ha ha!) So thank you for thinking of us, sweet friend! I love the puzzle ones! I will have to remember that for next year! Looks like a great Valentine's Day! Your Valentine's Day was more exciting than ours. I hate crowds and since we will be going out for my birthday in a few weeks we opted to just stay in. We loved your Valentine! 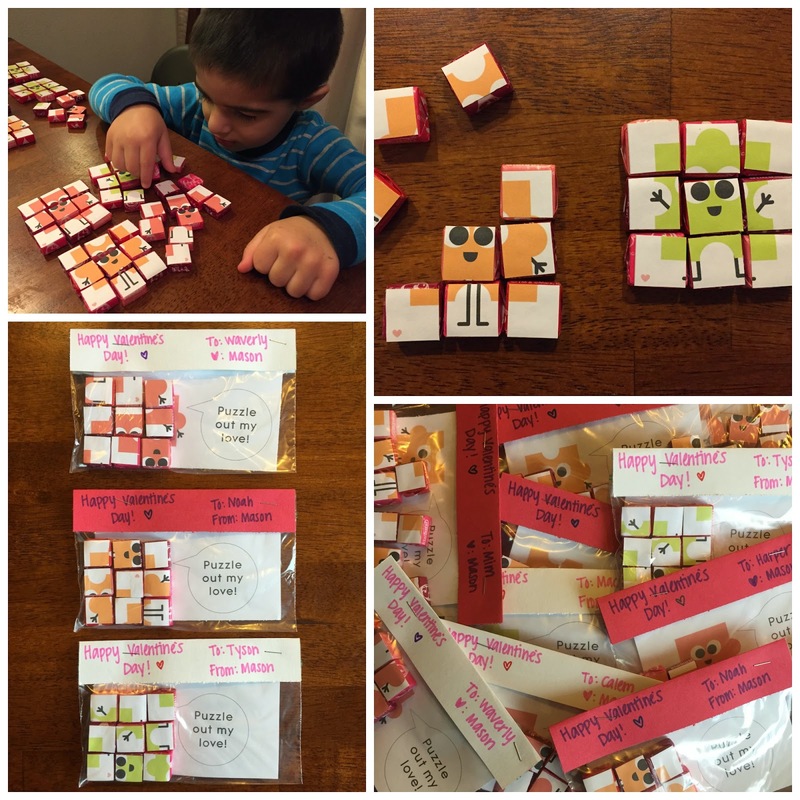 The puzzle was so cute and Noah LOVES starbursts (just like his mama)! What an awesome Valentine's Day!! Ones that kinda fall together like that are usually the best!! You guys are so cute!! You're Valentines were SUCH a hit (you've created a Starburst-monster out of Tyson), thank you!! :) Haha!! He loves those 'squares'. A) Cutest valentines ever, I gotta check out parents.com :) B) Ive wondered about the Home Depot kids class, and now I want to take Kinsey! Gkad you had a great Valentines Day! Seriously, you out did yourself with that puzzle mama! Do you feel like Mason did well even thought the age is older with the workshop? I so very much want Lily to participate in something like that because she LOVES "helping" daddy build random things and using tools. Looks like ya'll are going strong with the Whole 30! Are you shitting me? That is the best puzzle valentine ever? ever ever! I love it! I want one. I should make it for my brother he loves starbursts...for easter! Love the rose thing from the lowe's. Too badabout the time ha. Nice going mom. I'd do the same dang thing. That Starburst puzzle is genius! I may have to make some of those next year!!! 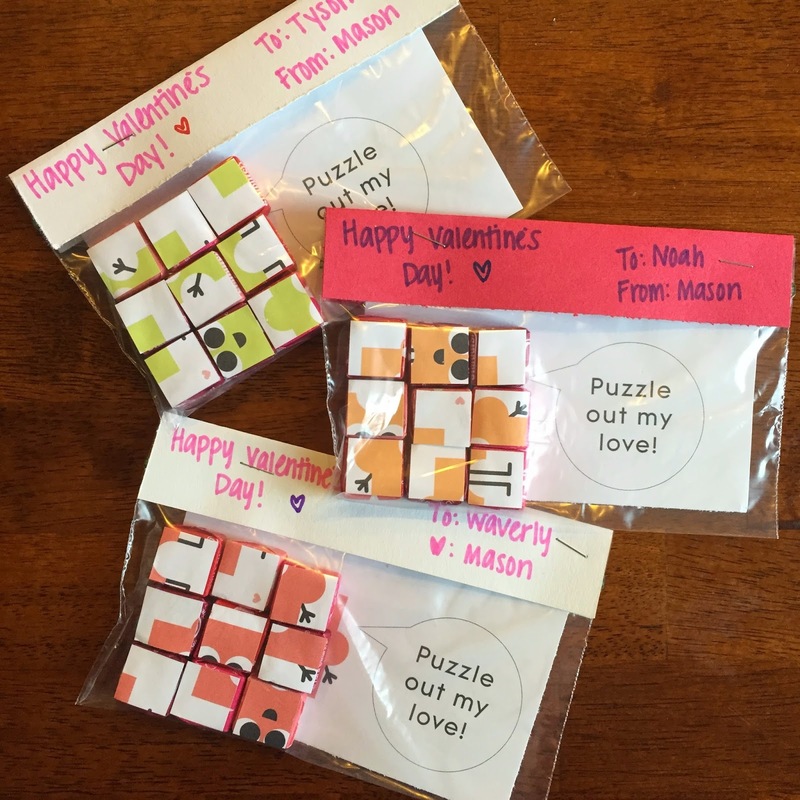 Sounds like the perfect Valentines day to me :) Such a cute idea with the puzzles!!! Stopping by from Spotlight Saturday. Your Valentine's Day sounds like it was perfect!! We are going to have to try out the Lowe's build and grow. It looks like so much fun! And, your Valentine's were the cutest! I've never seen anything like that before. How fun! Yea for a great Valentine's Day! Awhoo hoo! Sounds like you had a wonderful Valentines weekend!!! I LOVE those Starburst valentines! Too cute!!! 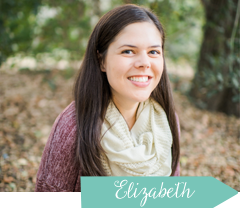 Thanks for linking up with the Saturday Spotlight!! I can't wait till Jude is old enough to go to those workshops at Lowes and Home Depot, they look like so much fun! 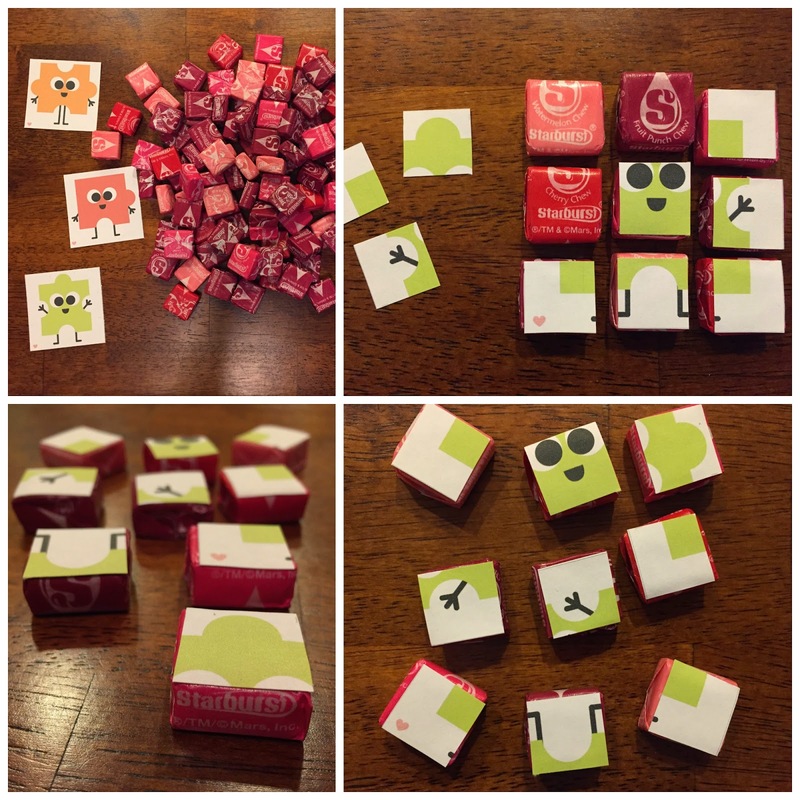 And your starburst puzzles are adorable!